Last night I ate three chocolate brownies. Okay, even that’s a lie. I think I actually ate four, but somehow three sounds just a little less disgusting. 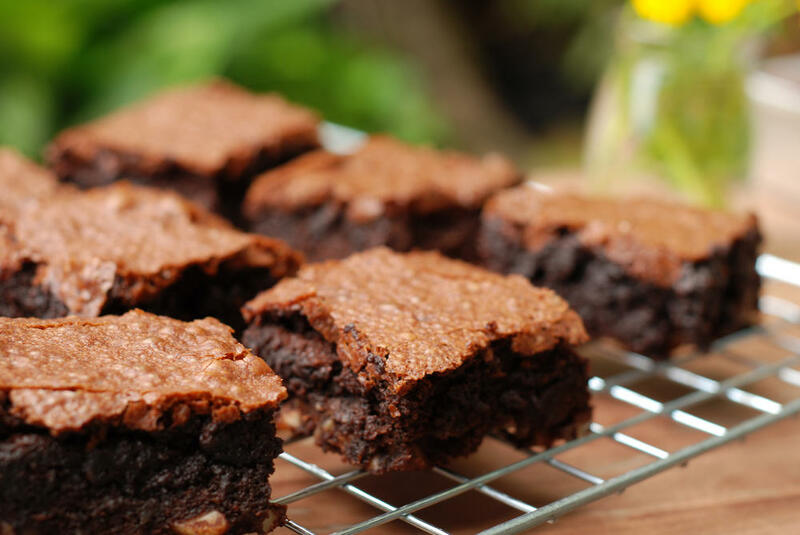 They were about two inches square, so that’s quite a lot of brownie. Belle made them for me because I was hormonal and tired and they were delicious and chocolatey. I enjoyed eating them, but I also didn’t, because at the same time I was thinking about my thighs, and that took the edge off the fun of it a little bit. To be honest, it scares me a little bit – my complete lack of self-control when it comes to food. I worry a lot about my complete inability to discipline myself, and what this is going to mean for me and my body over the coming years. That sounds very dramatic I know, but it definitely feels like an addiction. I have never taken drugs, and never been a smoker, because I just know that I wouldn’t be able to give up – I have no will power. I tested myself this morning. 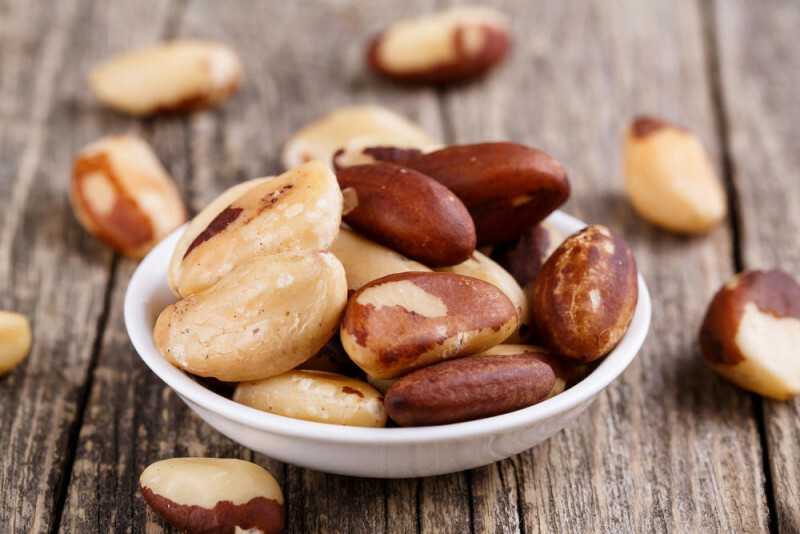 I had a bag of brazil nuts on my desk, and was eating them without really even thinking about it. I realised that that was probably a bad idea as it said there were 692 calories per 100g and it was a 200g bag, so I took our four and lined them up on my desk. I told myself that I would leave them there, and see how long I could make them last, that I would only eat them when I really wanted one. Within two minutes I had eaten all four. That’s not really okay is it? I blame mindfulness. I’m so damn busy living in the moment that I find it hard to picture the future or make decisions based on long term consequences. All I can think about is how the brownie will feel in my mouth for those few seconds. And then afterwards of course I feel wracked with guilt and spend the half hour in bed before falling asleep fantasising about liposuction. I’ve even gone as far as to say that if I had one wish, I would wish that I could eat and drink whatever I wanted, without it ever having any negative consequences on my health or body. World peace? Pah! An end to child poverty? Nope. Calorie free brownies for me please. Does anyone else feel like this about food? Does anyone else scare themselves with their complete lack of self-control? I’m the same and appreciate your honesty. I’m an ‘all or nothing ‘ kind of person and that seems to apply to food too. When I was pregnant I could happily eat a whole pack of shortbread biscuits in one go (and regularly did). If I home-bake anything I eat about half of it straight away as it’s tastes better straight out the oven. I have a really sweet tooth so always need dessert. In recent weeks have had a breakthrough by switching sweet treats for healthier sweet treats rather than trying to resist temptation altogether. I read amelia freer book and it really helped. I really feel the whole ‘all or nothing’ dilemma. I’ve often thought that it would be easier if I could just give up food COMPLETELY and that way you’d never have to have that problem of trying to stop once you’d started. Oh my goodness, they are two of my BIGGEST weaknesses! Bourbons I can just eat and eat. The biggest cruelty of all though – just after I finished writing this yesterday, a random packet of Jaffa Cakes arrived for me in the post!! Argh! I’m not that keen on chocolate brownies but nuts, that’s a different story.. It’s 10pm and I am a little peckish!!! I’ve just eaten a quarter of a McVities Lyles Golden Syrup sticky pudding cake. Sadly that was the last of it so now it’s out with the Tescos (am I allowed to say that? If not delete it) roasted and salted nut assortment. Like you I will endeavour to eat a quarter of the bag but I know it won’t stop there.. at the moment I’m not sleeping well so spend a lot of the night watching crap TV so of course I’m naturally grazing. The problem is I don’t know where to stop and I’ll probably eat half a packet tonight. Once I’ve done that, like you, I will look at the calories that takes and vow not to do it again, but I will. I know that before I’d finished typing the sentence. So I’ve come to the conclusion that if I’m relatively healthy what’s a nut or two between friends! That was soooooo good. I ended up eating 3/4 of the packet LOL. I used to feel like that all the time. Quitting sugar really helped me. OK, I admit sometimes I still indulge for something sweet.but self-control is very difficult. And life would be so boring if we were to be good all the time. I love your honesty; I am sure many of us feel the same. Sugar is definitely the thing for me. The annoying thing is that I know if I could go a few days I probably wouldn’t even crave it – I just need to kick the habit! I take my hat off to you. I ate 3/4 of that bag and a Nobbly Bobbly. Well there was only one left and I had to get in before my boy. What a horrible mother I am!!! Just looking at those brownies I can understand! I could eat my way through quite a few I am sure. Chocolate, nuts, olives, and of course good wine are all things that take a ridiculous amount of will power to stop once you start. I did the very same thing with a toffee the other day. My aim was to delay gratification for 20 minutes, I lasted two ! I kind of wish the opposite. I can go days without realizing I have not eaten anything. My appetite is non-existent. I have to count all my calories to make sure I eat enough in a day but I just don’t usually enjoy it. Everyone with their own battle, huh? Yep definitely – we all have something! Hello all! I think you will find this website very interesting. It gives you the opportunity to share your kids drawings and make them become part of a new fashion trend. It is a great way to promote their creativity and share it with the world. Please check it out!